These creatives make up the list of 20-plus graduates who will present projects that change the world of tomorrow. Design Indaba conceptualised antenna because we believe that the best ideas are in the hearts and minds of the young, curious and brave. Hosted by Dutch Design Week, the second antenna conference will introduce the world to just over 20 budding designers. The theme calls for projects that change the world, ones that predict and find solutions to problems we haven’t thought to address yet. From Ella Westlund’s products for the disabled to Gavin Zeitz’s inclusive look at the future of the Arctic, and Julia Schwarz’s exploration into the future of food. Iceland University’s Halldór Eldjárn always loved space, in particular the Moon. As a child, he’d look up at the stars in awe and wonder. Now, he’s channeled that childlike admiration into an interactive, generative music piece. 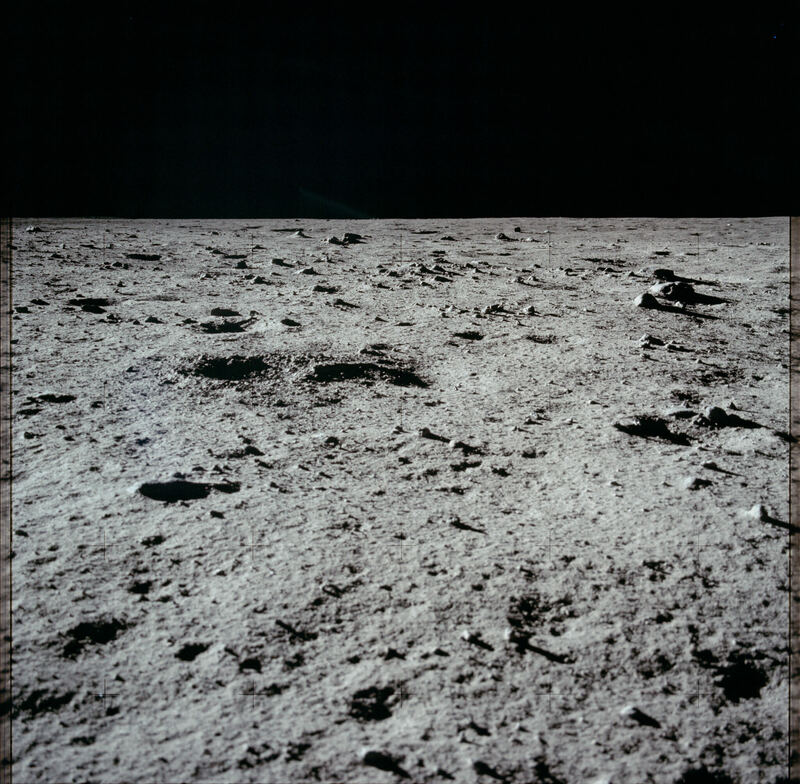 In Poco Apollo: A generative trip to the moon a computer turns 15000 pictures from NASA’s Apollo space missions into music. The website shows you a random photo slowly fading in while playing the music generated from that photo. Eldjárn estimates that it’ll take about two weeks to listen to all of the pictures – something he hasn’t personally done yet. He has selected four of his favourite tunes from the library and is preparing a release on vinyl, played live by a small orchestra. He might just have something special in store for the antenna audience too. Burial rituals vary from culture to culture. But for many of us, it means putting a dead body in a coffin and then in the ground. It’s a symbolic return to the elements and big part of saying goodbye. But this practice has come at a price: there just isn’t space to keep putting people into the Earth. 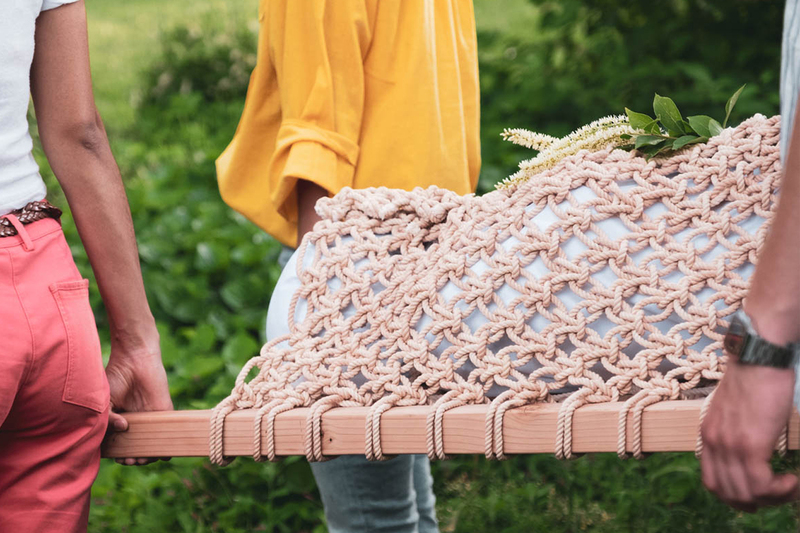 Pratt graduate Shaina Garfield is offering a greener alternative to the traditional burial. Leaves is a type of burial rope and cloth made with biodegradable materials. The coffin’s rope is dyed and embedded with spores. Once the body is buried, fungus grows to speed up the decomposition. Most importantly, the fungus eats the plethora of toxins in our bodies so only nutrients go into the soil. A tree is then planted above the burial site so the cemetery becomes a beacon of new life. When you order food on a delivery app, you don’t have to leave your home, speak to a waiter or send compliments to the chef. Similarly, in banking, online shopping and even standing in line, everything can be done with the click of a button. The debate on our increasingly online lifestyle leans on two poles: It’s either a barrier to human connection or the complete opposite, making the world an increasingly smaller place. At the University of applied arts, Vienna, Lisa Hofer tests the limits of our reality with a speculative project called Other-Self-Agency. Hofer predicts that these developments will lead to new employment niches in the service sector. The other self agency is an online platform where fictitious services are offered. Human service staff “agents” adapt their services to the emotional needs of people. 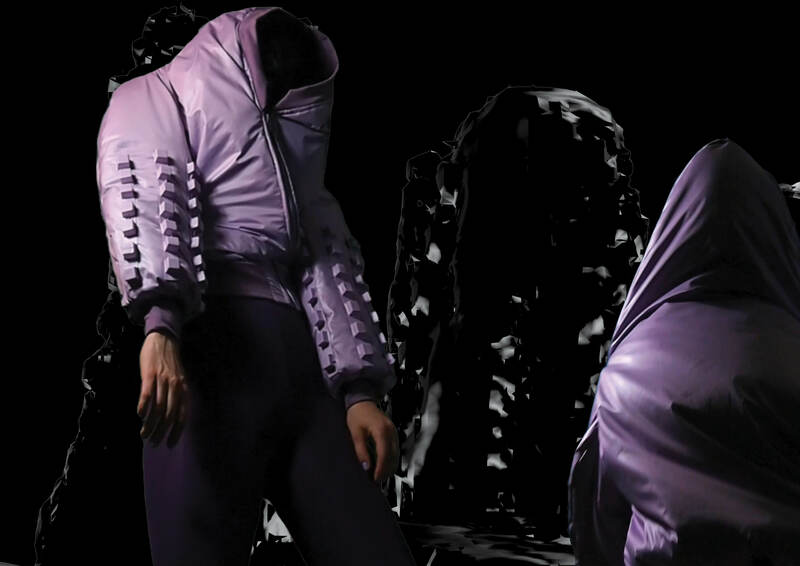 Bodybuildings is a speculative film, or movie forecast as the designer describes it, that explores how streetwear can soften the hardness of the city. Ines De Peuter, from DAE, sees streetwear as a soft, cushioning of protection. The garments filter the stimuli of the city by using big volumes that increase the border between the body and its environment. “Hoods wrap themselves around the head to isolate the noise, while a surface of grids is adopting the language of the cityscape, forming a guard to block the cities aggression,” wrote the designer. The project looks at how streetwear can provide a sense of safety. (Im)material Telephone sees the smartphone as more than a personalised communication device, specifically when it breaks. Noud Sleumer from DAE, says the smartphone represents connectivity and individuality. It’s a data stream of our most personal values. But when it breaks, if it cannot be repaired, it’s seen as worthless. There is still value in its physical form, says Sleumer. From the perspective of the global system of production, a broken smartphone still contains 42 precious materials as well as the user’s unique personal data. 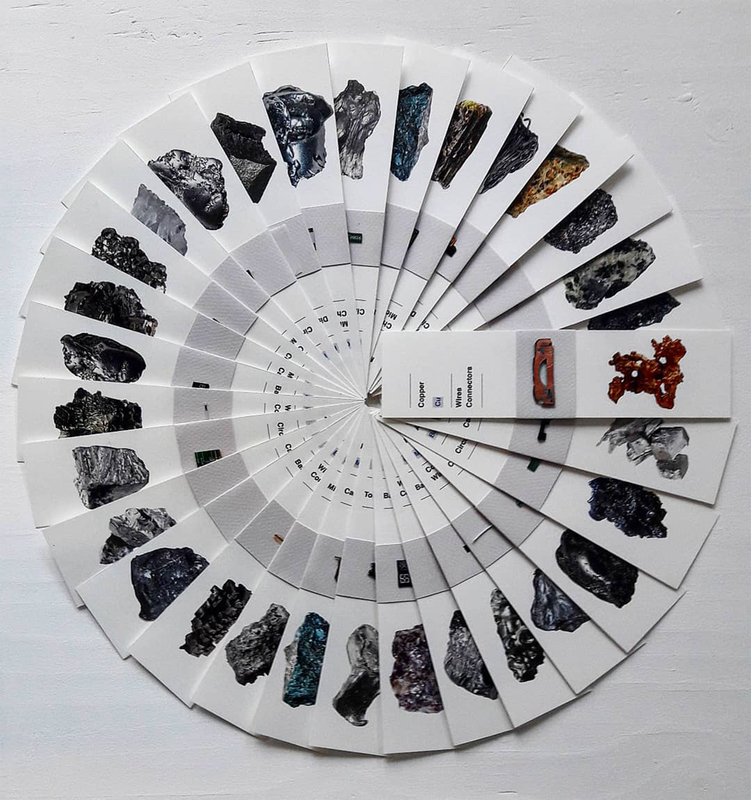 Sleumer’s project both dramatises and guarantees the destruction of the data storage, making personal information inaccessible, while capturing the moment in which the smartphone’s inner materials are revealed. The machine activates new possibilities for the circulation and reuse of materials, while preventing the user’s private history from disseminating into the public sphere. Antenna aims to take these young designers to the next phase of their careers by exposing them to experts and professionals in the antenna network. The programme, above and beyond their presentations, will work to expand their skills and networks, opening up a range of future opportunities. Like the antennae of the natural world, antenna aims to intuitively spot and react to the subtle signs in the world around us. The second edition of antenna will take place at World Design Event during Dutch Design Week on 22 October. The rest of the antenna line-up will be announced in the coming weeks. Tickets are on sale now.